Automation Testing uses automation tools to write and execute test cases, no manual involvement is required while executing an automated test suit. Usually testers write test script and test cases using the automation tool and then group into test suites. 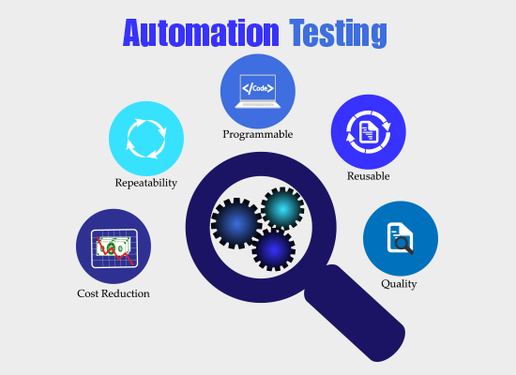 The main goal of automation testing is to increase the test efficiency and develop software value. And finding defects missed by manual testing. Selenium is a set of different software tools each with a different approach to supporting test Automation. Selenium is used to automate web application across different flat forms using different programming language. This is the one of the best tool for web application. The performance and execution speed of selenium automation tool is munch better than any automation tool because of its native support for browsers and also web driver operations on OS level. Selenium web driver is used to automate web based applications on multiple Plat form across different browser with different programming language. Selenium web driver is a faster then RC because of its simpler architecture. Multi – browser testing including improved functionality for browser which is not well support by selenium RC (selenium 1.0). Advance user navigation such as drag and drop.